A total of 434 pages, 100 worksheets and 14 ready-to-go chapter tests for 1st grade Math. 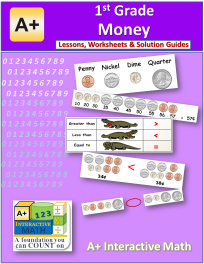 The worksheets provide ample opportunity to practice problem solving for all core math concepts in 1st Grade Math. 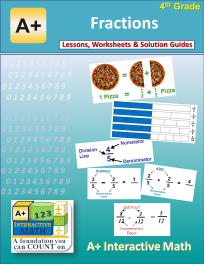 The problems on each exam provide review of all lessons in each chapter. 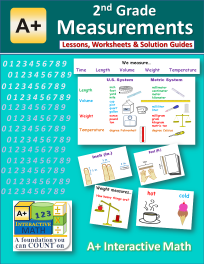 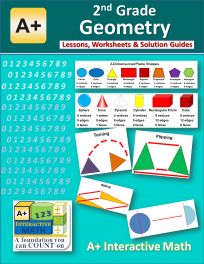 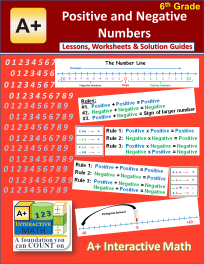 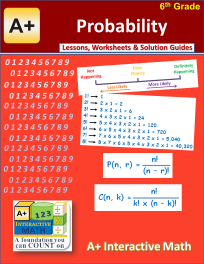 The answer key for each problem on the worksheets and exams is also provided. 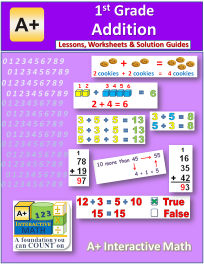 A total of 542 pages, 125 worksheets and 15 ready-to-go chapter tests for 2nd grade Math. 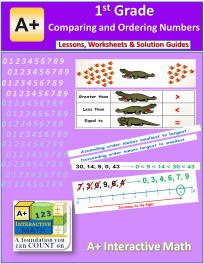 The worksheets provide ample opportunity to practice problem solving for all core math concepts in 2nd Grade Math. The problems on each exam provide review of all lessons in each chapter. 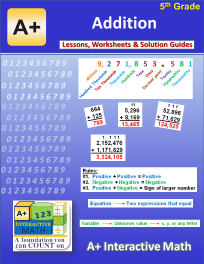 The answer key for each problem on the worksheets and exams is also provided. 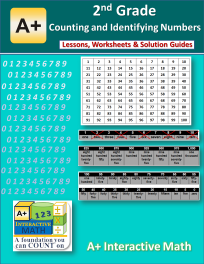 A total of 490 pages, 130 worksheets and 15 ready-to-go chapter tests for 3rd grade Math. 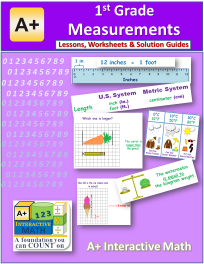 The worksheets provide ample opportunity to practice problem solving for all core math concepts in 3rd Grade Math. 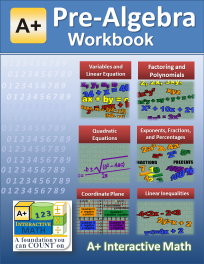 The problems on each exam provide review of all lessons in each chapter. 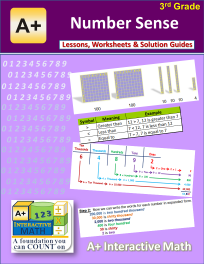 The answer key for each problem on the worksheets and exams is also provided. 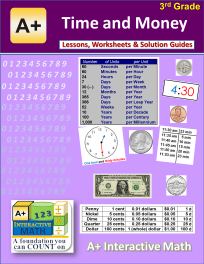 A total of 530 pages, 143 worksheets and 16 ready-to-go chapter tests for 4th grade Math. 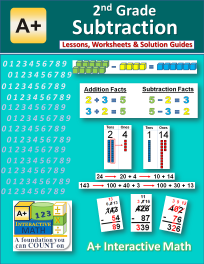 The worksheets provide ample opportunity to practice problem solving for all core math concepts in 4th Grade Math. The problems on each exam provide review of all lessons in each chapter. 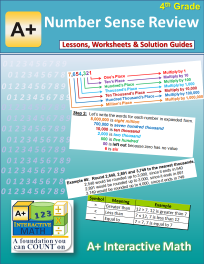 The answer key for each problem on the worksheets and exams is also provided. 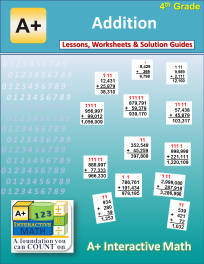 A total of 518 pages, 138 worksheets and 19 ready-to-go chapter tests for 5th grade Math. 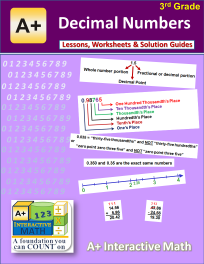 The worksheets provide ample opportunity to practice problem solving for all core math concepts in 5th Grade Math. 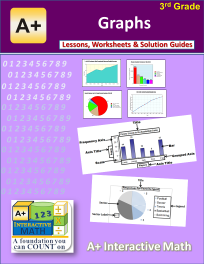 The problems on each exam provide review of all lessons in each chapter. 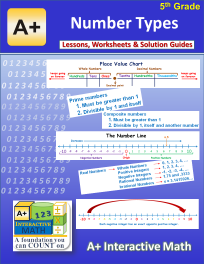 The answer key for each problem on the worksheets and exams is also provided. 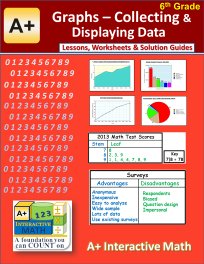 A total of 528 pages, 129 worksheets and 18 ready-to-go chapter tests for 6th grade Math. 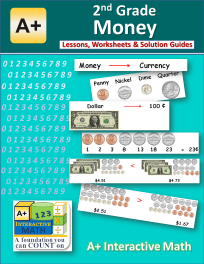 The worksheets provide ample opportunity to practice problem solving for all core math concepts in 6th Grade Math. 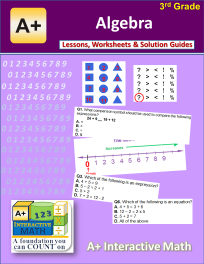 The problems on each exam provide review of all lessons in each chapter. 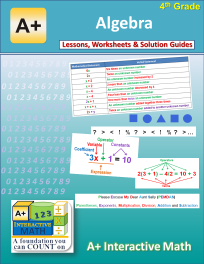 The answer key for each problem on the worksheets and exams is also provided. A total of 534 pages, 117 worksheets and 16 ready-to-go chapter tests for 7th grade (Pre-ALgebra). 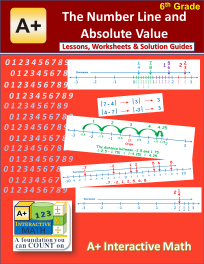 The worksheets provide ample opportunity to practice problem solving for all core math concepts in 7th Grade Math. 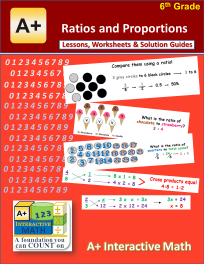 The problems on each exam provide review of all lessons in each chapter. 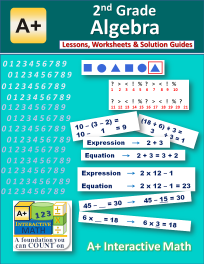 The answer key for each problem on the worksheets and exams is also provided. 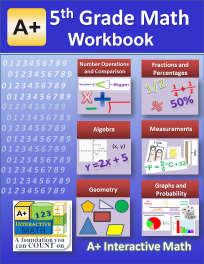 A total of 604 pages, 139 worksheets and 15 ready-to-go chapter tests for Algebra 1. 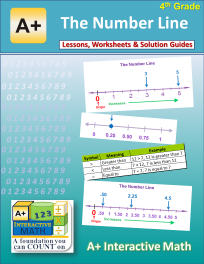 The worksheets provide ample opportunity to practice problem solving for all core math concepts in Algebra 1 . 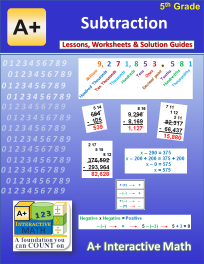 The problems on each exam provide review of all lessons in each chapter. 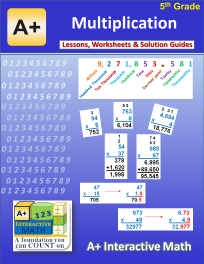 The answer key for each problem on the worksheets and exams is also provided. 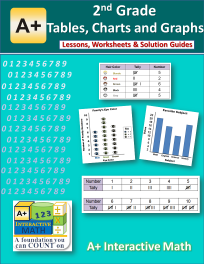 This quick reference guide contains all major facts, tables and formulas for the Math concepts covered in the 1st grade MATH. 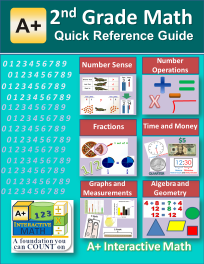 This quick reference guide contains all major facts, tables and formulas for the Math concepts covered in the 2nd grade MATH. 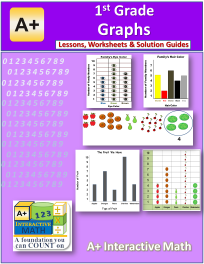 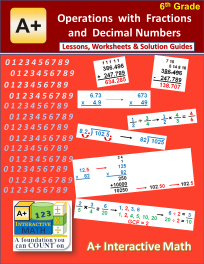 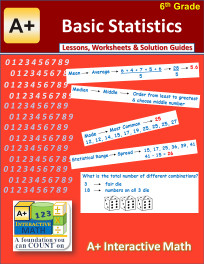 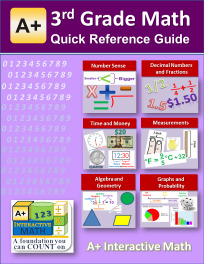 This quick reference guide contains all major facts, tables and formulas for the Math concepts covered in the 3rd grade MATH. 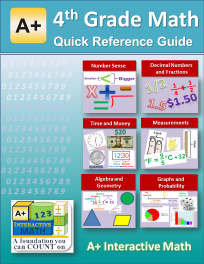 This quick reference guide contains all major facts, tables and formulas for the Math concepts covered in the 4th grade MATH. This quick reference guide contains all major facts, tables and formulas for the Math concepts covered in the 5th grade Math. 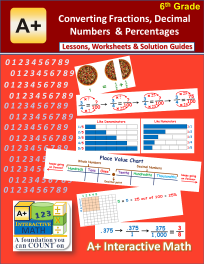 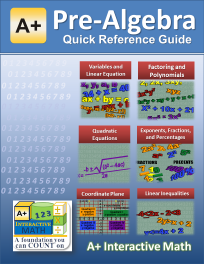 This quick reference guide contains all major facts, tables and formulas for the Math concepts covered in the 6th grade Math. 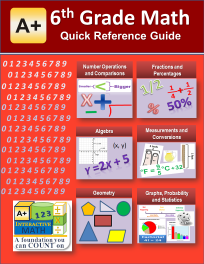 This quick reference guide contains all major facts, tables and formulas for the Math concepts covered in the 7th grade (Pre-Algebra) Math. 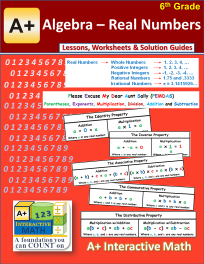 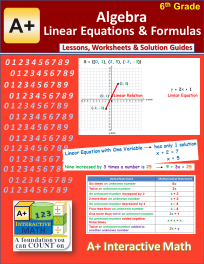 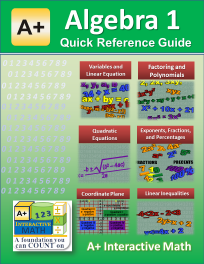 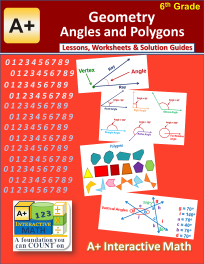 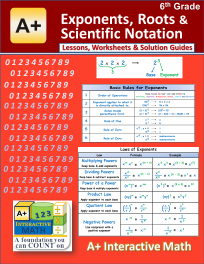 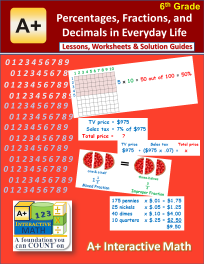 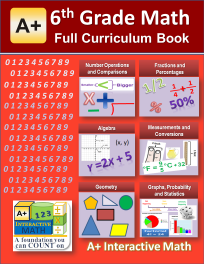 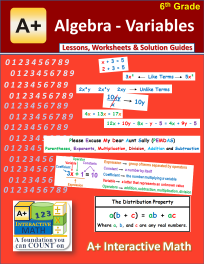 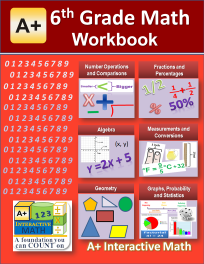 This quick reference guide contains all major facts, tables and formulas for the Math concepts covered in the Algebra 1. 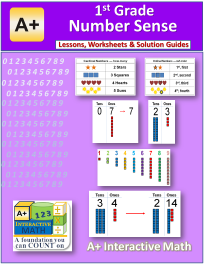 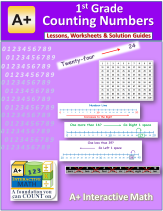 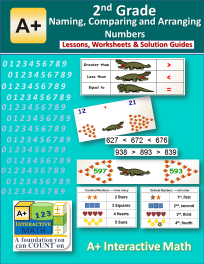 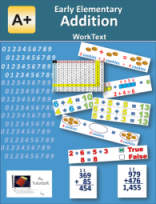 This WorkText is designed to be used as a supplement to teach how to count and identify numbers to students in early elementary years. It offers concept reviews which are concise with 'to-the-point' explanations, and demonstrations of concepts with sample problems to ensure your student fully understands how to apply concepts to real world math problems. 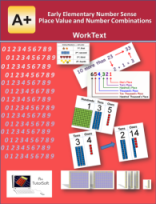 This WorkText is designed to be used as a supplement to teach place value and number combinations to students in early elementary years. 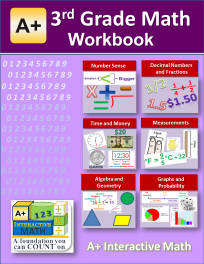 It offers concept reviews which are concise with 'to-the-point' explanations, and demonstrations of concepts with sample problems to ensure your student fully understands how to apply concepts to real world math problems. 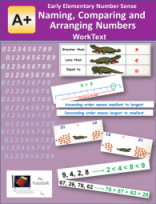 This WorkText is designed to be used as a supplement to teach naming, comparing and arranging numbers to students in early elementary years. 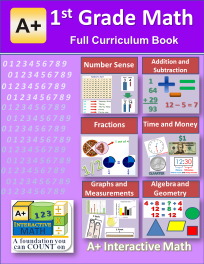 It offers concept reviews which are concise with 'to-the-point' explanations, and demonstrations of concepts with sample problems to ensure your student fully understands how to apply concepts to real world math problems. 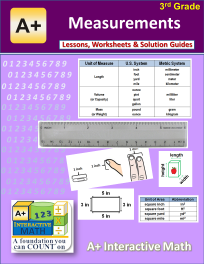 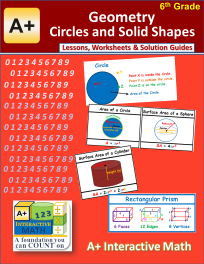 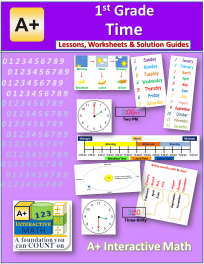 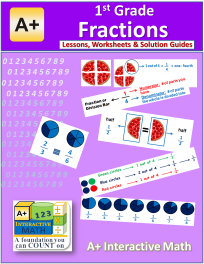 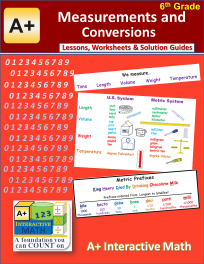 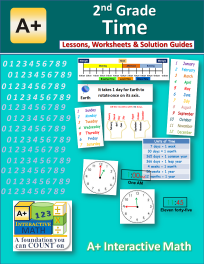 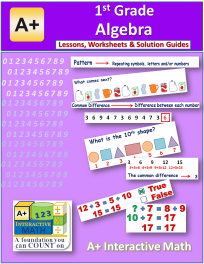 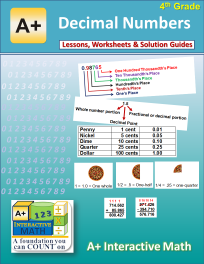 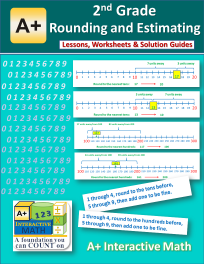 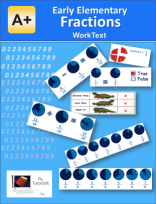 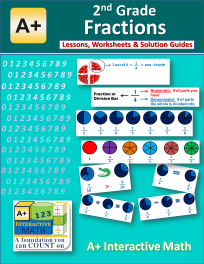 This WorkText is designed to be used as a supplement to teach fractions to students in early elementary years. 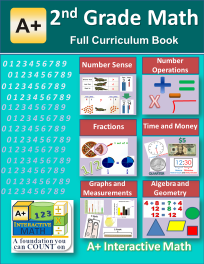 It offers concept reviews which are concise with 'to-the-point' explanations, and demonstrations of concepts with sample problems to ensure your student fully understands how to apply concepts to real world math problems. 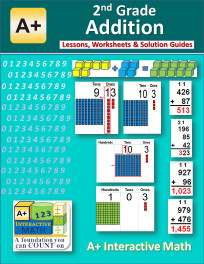 This WorkText is designed to be used as a supplement to teach Addition using various methods to students in early elementary years. It offers concept reviews which are concise with 'to-the-point' explanations, and demonstrations of concepts with sample problems to ensure your student fully understands how to apply concepts to real world math problems. 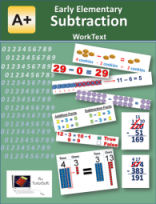 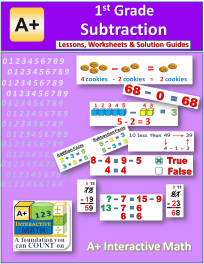 This WorkText is designed to be used as a supplement to teach Subtraction using various methods to students in elementary years. 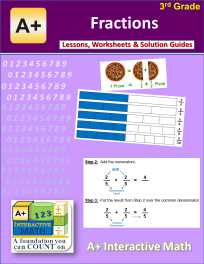 It offers concept reviews which are concise with 'to-the-point' explanations, and demonstrations of concepts with sample problems to ensure your student fully understands how to apply concepts to real world math problems. 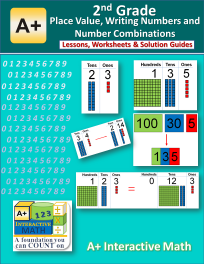 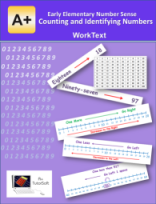 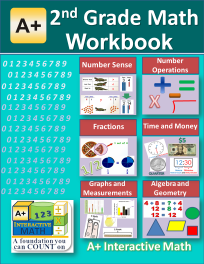 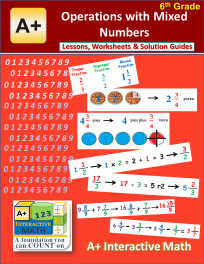 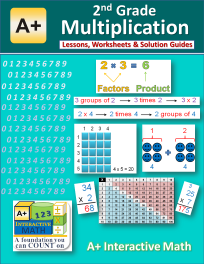 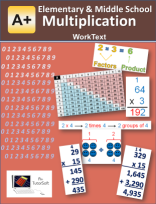 This WorkText is designed to be used as a supplement to teach multiplication using various methods to students in elementary and middle school years. 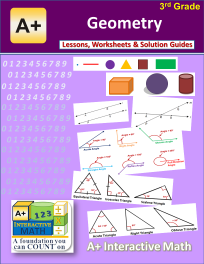 It offers concept reviews which are concise with 'to-the-point' explanations, and demonstrations of concepts with sample problems to ensure your student fully understands how to apply concepts to real world math problems. 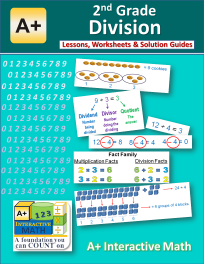 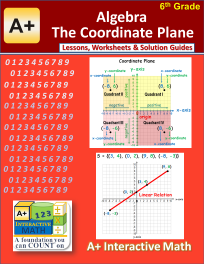 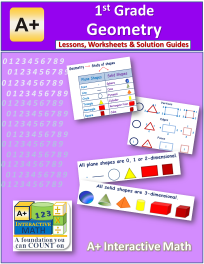 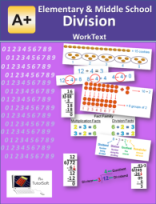 This WorkText is designed to be used as a supplement to teach division using various methods to students in elementary and middle school years. 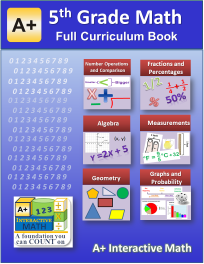 It offers concept reviews which are concise with 'to-the-point' explanations, and demonstrations of concepts with sample problems to ensure your student fully understands how to apply concepts to real world math problems.